Children from Years 5 & 6 put on a fantastic performance at The Forest High School in the Soccer 7s tournament. The tournament consisted of them having to play three matches, with the top teams playing against each other to find 1st place. 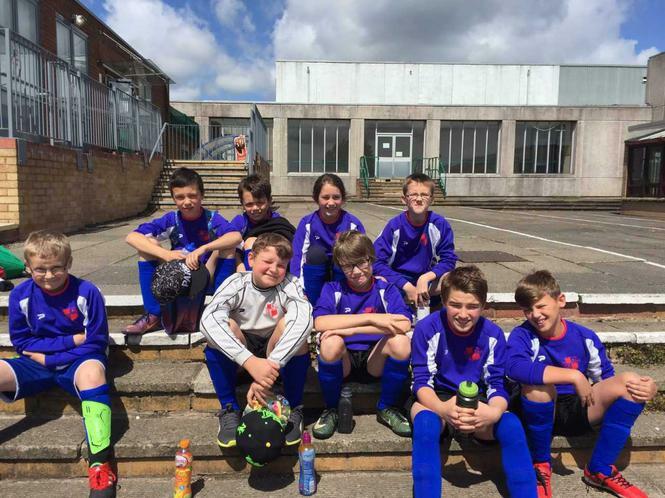 Lydney C of E played against St. Johns, St. Whites and Berry Hill . After a shaky start, the children really showed their resilience and improved as the matches went on securing both a draw with St. Johns and after an exhilarating final game, a win against Berry Hill . We had some outstanding performances, with Zachary scoring two goals and Finley with a hat trick. Ferdy showed great teamwork and was a key member of the team defending exceptionally.